Earlier this week Blood and Biscuits announced the addition of Sleep Party People to their roster. The quintet are releasing their second album and first on Blood and Biscuits on April 9th. The album is called We Were Drifting On A Sad Song and you can pre-order it here. 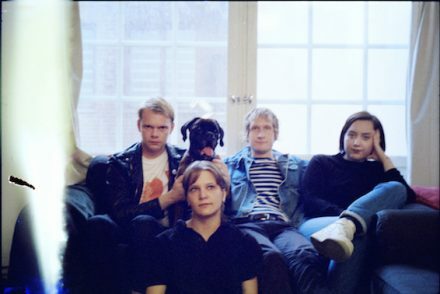 Sleep Party People, the masked Danish electronic dream-pop outfit, started as an idea in the head of Copenhagen based multi-instrumentalist Brian Batz. 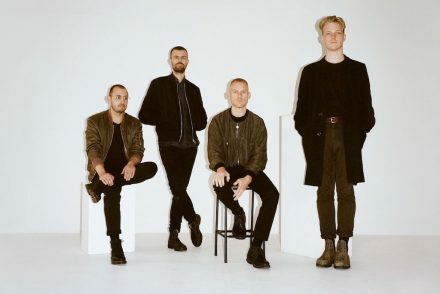 Having toured with The Antlers and Efterklang their new album ‘We Were Drifting On A Sad Song’ is out April 9th on Blood and Biscuits. 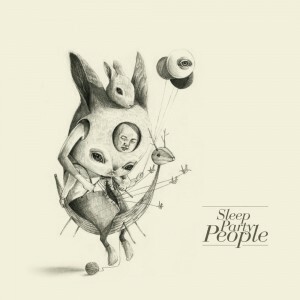 Mixing the distorted shoegaze of MBV, the uplifting orchestration of Arcade Fire and the surreal imagery of David Lynch, we’re certain that Sleep Party People will instantly become your favourite new band. The band have also just dropped a new video for single ‘A Dark Gold Heart’ which you can see below.